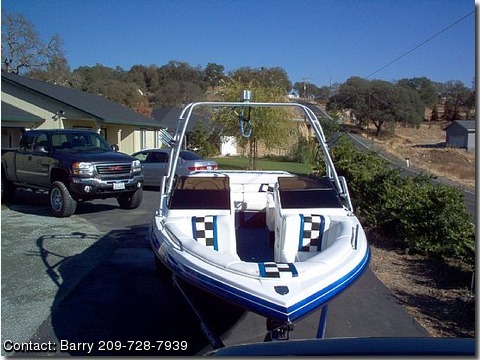 This boat is a one of a kind custom boat I have taken care of it like a baby I have had the boat serviced every year by A&T marine. 30 gal each dual fuel tanks, open bow, rated for 10 people,custom brushed aluminum tower, custom int & exterior, 68mph, am/fm stereo 2000 watt, 2 axle trailer, auto rope winder. First one with 25,000 will get this one of a kind boat compair what it would cost to have a boat like this made and you will see what a value it really is it would be in the 70,000 range or more. Personal emergency is forcing the sale of my boat.